Gang is a faculty member in the Department of Biomedical Informatics and Medical Education of the School of Medicine at the University of Washington. He received a Bachelor's degree in Computer Science from Shanghai Jiaotong University, P.R.China, in 1998, and a Ph.D. degree in Computer Science with a minor in Mathematics at the University of Wisconsin-Madison in 2004. Between 2004 and 2012, he was a Research Staff Member at the IBM T.J. Watson research center. Between 2012 and 2016, he was a faculty member in the Department of Biomedical Informatics at the University of Utah. Gang organizes HealthInformaticsWorld, an open email list on health informatics for distributing related conference, journal, book, grant, software, and job information. Anybody with interest can subscribe to it by sending an email to HealthInformaticsWorld+subscribe@googlegroups.com. Gang's research interests include health/clinical informatics (software system design/development and data analytics), big data, information retrieval, database systems, data mining, and machine learning with a focus on health applications. He invented the first method for automatically providing rule-based explanations for any machine learning model's prediction/classification results with no accuracy loss, the first method for efficiently automating machine learning model selection, the questionnaire-guided intelligent medical search engine iMed, intelligent personal health record, and SQL and compiler progress indicators. G. Luo. Automatically Explaining Machine Learning Prediction Results: A Demonstration on Type 2 Diabetes Risk Prediction. [pdf] Health Information Science and Systems (HISS), Vol. 4, No. 2, Mar. 2016, pp. 1-9. G. Luo, K. Sward. A Roadmap for Optimizing Asthma Care Management via Computational Approaches. [pdf] JMIR Medical Informatics (JMI), Vol. 5, No. 3, e32, Sep. 2017, pp. 1-12. G. Luo, B.L. Stone, F. Sakaguchi, X. Sheng, and M.A. Murtaugh. Using Computational Approaches to Improve Risk-Stratified Patient Management: Rationale and Methods. [pdf] JMIR Research Protocols (JRP), Vol. 4, No. 4, e128, Oct. 2015, pp. 1-16. G. Luo. A Roadmap for Semi-automatically Extracting Predictive and Clinically Meaningful Temporal Features from Medical Data for Predictive Modeling. [pdf] Global Transitions, Vol. 1, Mar. 2019, pp. 61-82. G. Luo, J. Schroeter. Automatic and Transparent Machine Learning. [pdf] Popular Electronics, Vol. 1, No. 1, Dec. 2017, pp. 198-206. X. Zeng, G. Luo. Progressive Sampling-Based Bayesian Optimization for Efficient and Automatic Machine Learning Model Selection. [pdf] Health Information Science and Systems (HISS), Vol. 5, No. 1, Article 2, Sep. 2017, pp. 1-21. G. Luo, B.L. Stone, M.D. Johnson, P. Tarczy-Hornoch, A.B. Wilcox, S.D. Mooney, X. Sheng, P.J. Haug, and F.L. Nkoy. Automating Construction of Machine Learning Models with Clinical Big Data: Proposal Rationale and Methods. [pdf] JMIR Research Protocols (JRP), Vol. 6, No. 8, e175, Aug. 2017, pp. 1-19. G. Luo. PredicT-ML: A Tool for Automating Machine Learning Model Building with Big Clinical Data. [pdf] Health Information Science and Systems (HISS), Vol. 4, No. 5, Jun. 2016, pp. 1-16. G. Luo. MLBCD: A Machine Learning Tool for Big Clinical Data. [pdf] Health Information Science and Systems (HISS), Vol. 3, No. 3, Sep. 2015, pp. 1-19. G. Luo. A Review of Automatic Selection Methods for Machine Learning Algorithms and Hyper-parameter Values. [pdf] Network Modeling Analysis in Health Informatics and Bioinformatics (NetMAHIB), Vol. 5, No. 18, Dec. 2016, pp. 1-16. G. Luo, F.L. Nkoy, P.H. Gesteland, T.S. Glasgow, and B.L. Stone. A Systematic Review of Predictive Modeling for Bronchiolitis. [pdf] International Journal of Medical Informatics (IJMI), Vol. 83, No. 10, Oct. 2014, pp. 691-714. G. Luo, B.L. Stone, B. Fassl, C.G. Maloney, P.H. Gesteland, S.R. Yerram, and F.L. Nkoy. Predicting Asthma Control Deterioration in Children. [pdf] BMC Medical Informatics and Decision Making, Vol. 15, 84, Oct. 2015, pp. 1-8. G. Luo, F.L. Nkoy, B.L. Stone, D. Schmick, and M.D. Johnson. A Systematic Review of Predictive Models for Asthma Development in Children. [pdf] BMC Medical Informatics and Decision Making, Vol. 15, 99, Nov. 2015, pp. 1-16. G. Luo, B.L. Stone, M.D. Johnson, and F.L. Nkoy. Predicting Appropriate Admission of Bronchiolitis Patients in the Emergency Department: Rationale and Methods. [pdf] JMIR Research Protocols (JRP), Vol. 5, No. 1, e41, Mar. 2016, pp. 1-9. G. Luo. A Roadmap for Designing a Personalized Search Tool for Individual Healthcare Providers. [pdf] Journal of Medical Systems (JMS), Vol. 38, No. 2, Feb. 2014, pp. 1-19. T.O. Staiger, P.A. Kritek, G. Luo, and P. Tarczy-Hornoch. Anticipation in Medicine and Healthcare: Implications for Improving Safety and Quality. [pdf] In Roberto Poli (Ed. ), Handbook of Anticipation, Springer, New York, New York, 2017, pp. 1-21. J. Bian, M.A. Morid, S. Jonnalagadda, G. Luo, and G. Del Fiol. Automatic Identification of High Impact Articles in PubMed to Support Clinical Decision Making. [pdf] Journal of Biomedical Informatics (JBI), Vol. 73, Sep. 2017, pp. 95-103. G. Luo, P. Tarczy-Hornoch, A.B. Wilcox, and E.S. Lee. Identifying Patients Who are Likely to Receive Most of Their Care from a Specific Health Care System: Demonstration via Secondary Analysis. [pdf] JMIR Medical Informatics (JMI), Vol. 6, No. 4, e12241, Oct.-Dec. 2018, pp. 1-12. G. Luo, B.L. Stone, F.L. Nkoy, S. He, and M.D. Johnson. Predicting Appropriate Hospital Admission of Emergency Department Patients with Bronchiolitis: Secondary Analysis. [pdf] JMIR Medical Informatics (JMI), Vol. 7, No. 1, e12591, Jan.-Mar. 2019, pp. 1-15. G. Luo, L.J. Frey. Efficient Execution Methods of Pivoting for Bulk Extraction of Entity-Attribute-Value-Modeled Data. [pdf] IEEE Journal of Biomedical and Health Informatics (J-BHI), Vol. 20, No. 2, Mar. 2016, pp. 644-654. G. Luo, S.B. Thomas, and C. Tang. Intelligent Personal Health Record. [pdf] (invited) In Arvin Agah (Ed. ), Medical Applications of Artificial Intelligence, CRC Press, Taylor & Francis, Boca Raton, Florida, 2013, pp. 397-405. G. Luo. Open Issues in Intelligent Personal Health Record - An Updated Status Report for 2012. [pdf] Journal of Medical Systems (JMS), Vol. 37, No. 3, Jun. 2013, pp. 1-29. G. Luo. Triggers and Monitoring in Intelligent Personal Health Record. [pdf] Journal of Medical Systems (JMS), Vol. 36, No. 5, Oct. 2012, pp. 2993-3009. G. Luo, C. Tang, and S.B. Thomas. Intelligent Personal Health Record: Experience and Open Issues. [pdf] Proc. 2010 ACM Int. Health Informatics Symposium (IHI'10), Arlington, VA, Nov. 2010, pp. 326-335. G. Luo, S.B. Thomas, and C. Tang. Automatic Home Medical Product Recommendation. [pdf] Journal of Medical Systems (JMS), Vol. 36, No. 2, Apr. 2012, pp. 383-398. G. Luo, C. Tang. On Iterative Intelligent Medical Search. [pdf] Proc. 2008 Int. ACM SIGIR Conf. on Research and Development in Information Retrieval (SIGIR'08), Singapore, July 2008, pp. 3-10. G. Luo. Design and Evaluation of the iMed Intelligent Medical Search Engine. [pdf] Proc. 2009 Int. Conf. on Data Engineering (ICDE'09), Shanghai, China, Apr. 2009, pp. 1379-1390. G. Luo. Intelligent Output Interface for Intelligent Medical Search Engine. [pdf] Proc. 2008 AAAI Conf. on Artificial Intelligence (AAAI'08), Chicago, IL, July 2008, pp. 1201-1206. G. Luo, C. Tang. Challenging Issues in Iterative Intelligent Medical Search. [pdf] Proc. 2008 Int. Conf. on Pattern Recognition (ICPR'08), Tampa, FL, Dec. 2008, pp. 1-4. G. Luo. Lessons Learned from Building the iMed Intelligent Medical Search Engine. [pdf] Proc. 2009 Annual Int. Conf. of the IEEE Engineering in Medicine and Biology Society (EMBC'09), Minneapolis, MN, Sep. 2009, pp. 5138-5142. G. Luo, S.B. Thomas, and C. Tang. Intelligent Consumer-Centric Electronic Medical Record. [pdf] Proc. 2009 Int. Conf. of the European Federation for Medical Informatics (MIE'09), Sarajevo, Bosnia and Herzegovina, Sep. 2009, pp. 120-124. G. Luo, C. Tang. Automatic Home Nursing Activity Recommendation. [pdf] Proc. 2009 American Medical Informatics Association Annual Symposium (AMIA'09), San Francisco, CA, Nov. 2009, pp. 401-405. G. Luo. Navigation Interface for Recommending Home Medical Products. [pdf] Journal of Medical Systems (JMS), Vol. 36, No. 2, Apr. 2012, pp. 699-705. G. Luo. On Search Guide Phrase Compilation for Recommending Home Medical Products. [pdf] Proc. 2010 Annual Int. Conf. of the IEEE Engineering in Medicine and Biology Society (EMBC'10), Buenos Aires, Argentina, Sep. 2010, pp. 2167-2171. G. Luo, C. Tang, H. Yang, and X. Wei. MedSearch: A Specialized Search Engine for Medical Information Retrieval. [pdf] Proc. 2008 ACM Conf. on Information and Knowledge Management (CIKM'08), Napa Valley, CA, Oct. 2008, pp. 143-152. 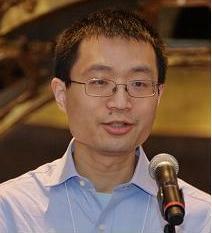 X. Chen, M.A. Murtaugh, C. Koebnick, S. Beddhu, J. Garvin, M. Conway, Y. Lee, R. Gouripeddi, and G. Luo. Dietary Management Software for Chronic Kidney Disease: Current Status and Open Issues. [pdf] Proc. 2016 Annual Int. Conf. on Health Information Science (HIS'16), Shanghai, China, Nov. 2016, pp. 62-72. Springer Lecture Notes in Computer Science 10038. D.M. Walker, M.A. Murtaugh, and G. Luo. Characterizing Common Features of Recipe Management and Recommender Systems in Mobile Applications. [pdf] Poster at 2015 American Medical Informatics Association Annual Summit on Clinical Research Informatics (CRI), San Francisco, CA, Mar. 2015, pp. 413. G. Luo, W. Min. Distance-Constrained Orthogonal Latin Squares for Brain-Computer Interface. [pdf] Journal of Medical Systems (JMS), Vol. 36, No. 1, Feb. 2012, pp. 159-166. W. Min, G. Luo. Medical Applications of EEG Wave Classification. [pdf] Chance (invited), Vol. 22, No. 4, Dec. 2009, pp. 14-20. G. Divita, G. Luo, L.T. Tran, T.E. Workman, A.V. Gundlapalli, and M.H. Samore. General Symptom Extraction from VA Electronic Medical Notes. [pdf] Proc. 2017 World Congress on Medical and Health Informatics (MedInfo'17), Hangzhou, China, Aug. 2017, pp. 356-360. Studies in Health Technology and Informatics 245. C. Koebnick, Y. Mohan, X. Li, A.H. Porter, M.F. Daley, G. Luo, and B.D. Kuizon. Failure to Confirm High Blood Pressures in Pediatric Care - Quantifying the Risks of Misclassification. [pdf] Journal of Clinical Hypertension, Vol. 20, No. 1, Jan. 2018, pp. 174-182. G. Luo, M.D. Johnson, F.L. Nkoy, S. He, and B.L. Stone. Appropriateness of Hospital Admission for Emergency Department Patients with Bronchiolitis: Secondary Analysis. [pdf] JMIR Medical Informatics (JMI), Vol. 6, No. 4, e10498, Oct.-Dec. 2018, pp. 1-10. G. Luo, C. Tang, and Y. Tian. Answering Relationship Queries on the Web. [pdf] Proc. 2007 Int. World Wide Web Conf. (WWW'07), Banff, Canada, May 2007, pp. 561-570. G. Luo, J.F. Naughton, C.J. Ellmann, and M.W. Watzke. Toward a Progress Indicator for Database Queries. [pdf] Proc. 2004 ACM-SIGMOD Int. Conf. on Management of Data (SIGMOD'04), Paris, France, June 2004, pp. 791-802. G. Luo, J.F. Naughton, C.J. Ellmann, and M.W. Watzke. Increasing the Accuracy and Coverage of SQL Progress Indicators. [pdf] Proc. 2005 Int. Conf. on Data Engineering (ICDE'05), Tokyo, Japan, Apr. 2005, pp. 853-864. G. Luo, J.F. Naughton, and P.S. Yu. Multi-query SQL Progress Indicators. [pdf] Proc. 2006 Int. Conf. on Extending Database Technology (EDBT'06), Munich, Germany, Mar. 2006, pp. 921-941. G. Luo. Progress Indication for Machine Learning Model Building: A Feasibility Demonstration. [pdf] SIGKDD Explorations, Vol. 20, No. 2, Dec. 2018, pp. 1-12. G. Luo. Toward a Progress Indicator for Machine Learning Model Building and Data Mining Algorithm Execution: A Position Paper. [pdf] SIGKDD Explorations, Vol. 19, No. 2, Dec. 2017, pp. 13-24. G. Luo, T. Chen, and H. Yu. Toward a Progress Indicator for Program Compilation. [pdf] Software: Practice and Experience (SPE), Vol. 37, No. 9, July 2007, pp. 909-933. G. Luo, C. Tang, and P.S. Yu. Resource-Adaptive Real-Time New Event Detection. [pdf] Proc. 2007 ACM-SIGMOD Int. Conf. on Management of Data (SIGMOD'07), Beijing, China, June 2007, pp. 497-508. G. Luo, R. Yan, and P.S. Yu. Real-Time New Event Detection for Video Streams. [pdf] Proc. 2008 ACM Conf. on Information and Knowledge Management (CIKM'08), Napa Valley, CA, Oct. 2008, pp. 379-388. G. Luo. V Locking Protocol for Materialized Aggregate Join Views on B-tree Indices. [pdf] Proc. 2010 Int. Conf. on Web-Age Information Management (WAIM'10), Jiuzhaigou, China, July 2010, pp. 768-780. Springer Lecture Notes in Computer Science 6184. G. Luo, J.F. Naughton, C.J. Ellmann, and M.W. Watzke. A Comparison of Three Methods for Join View Maintenance in Parallel RDBMS. [pdf] Proc. 2003 Int. Conf. on Data Engineering (ICDE'03), Bangalore, India, Mar. 2003, pp. 177-188. G. Luo, J.F. Naughton, C.J. Ellmann, and M.W. Watzke. Auxiliary Relations for Join View Maintenance in Parallel RDBMS. [pdf] Poster at 2002 Int. Conf. on Data Engineering (ICDE'02), San Jose, CA, Feb. 2002. An extended version of this paper appears at ICDE'03. G. Luo. Techniques for Operational Data Warehousing. [pdf] Ph.D. thesis, University of Wisconsin-Madison, June 2004. G. Luo. Efficient Detection of Empty Result Queries. [pdf] Proc. 2006 Int. Conf. on Very Large Databases (VLDB'06), Seoul, Korea, Sep. 2006, pp. 1015-1025. G. Luo, J.F. Naughton, C.J. Ellmann, and M.W. Watzke. Transaction Reordering. [pdf] Data and Knowledge Engineering (DKE, invited), Vol. 69, No. 1, Jan. 2010, pp. 29-49. G. Luo, J.F. Naughton, C.J. Ellmann, and M.W. Watzke. Transaction Reordering with Application to Synchronized Scans. [pdf] ACM Eleventh Int. Workshop on Data Warehousing and OLAP (DOLAP'08), Napa Valley, CA, Oct. 2008, pp. 17-23. G. Luo, P.S. Yu. Content-Based Filtering for Efficient Online Materialized View Maintenance. [pdf] Proc. 2008 ACM Conf. on Information and Knowledge Management (CIKM'08), Napa Valley, CA, Oct. 2008, pp. 163-172. K. Wu, P.S. Yu, B. Gedik, K.W. Hildrum, C.C. Aggarwal, E. Bouillet, W. Fan, D.A. George, X. Gu, G. Luo, and H. Wang. Challenges and Experience in Prototyping a Multi-Modal Stream Analytic and Monitoring Application on System S. [pdf] Proc. 2007 Int. Conf. on Very Large Databases (VLDB'07), Vienna, Austria, Sep. 2007, pp. 1185-1196. G. Luo, H. Andrade. Rationale for the ACM International Health Informatics Symposium. [pdf] Proc. 2010 ACM Int. Health Informatics Symposium (IHI'10), Arlington, VA, Nov. 2010. D.M. Sow, M.J. Schmidt, D.J. Albers, A. Beygelzimer, A. Biem, G. Luo, and D. Turaga. Developing and Deploying Clinical Models for the Early Detection of Clinical Complications in Neurological Intensive Care Units. [pdf] Poster at 2011 American Medical Informatics Association Annual Summit on Clinical Research Informatics (CRI), San Francisco, CA, Mar. 2011, pp. 122. G. Luo, J. Liu, and C.C. Yang (Eds.). Proceedings of the 2012 ACM SIGHIT International Health Informatics Symposium (IHI'12). ACM Press, 2012. U.V. Catalyurek, G. Luo, H. Andrade, and N.R. Smalheiser (Eds.). Proceedings of the 2010 ACM International Health Informatics Symposium (IHI'10). ACM Press, 2010. F. Wang, G. Luo, and C. Weng (Eds.). Proceedings of the 2015 International Workshop on Data Management and Analytics for Medicine and Healthcare (DMAH'15). Springer Lecture Notes in Computer Science 9579, 2016. F. Wang, L. Yao, and G. Luo (Eds.). Proceedings of the 2016 International Workshop on Data Management and Analytics for Medicine and Healthcare (DMAH'16). Springer Lecture Notes in Computer Science 10186, 2017. E. Begoli, F. Wang, and G. Luo (Eds.). Proceedings of the 2017 International Workshop on Data Management and Analytics for Medicine and Healthcare (DMAH'17). Springer Lecture Notes in Computer Science 10494, 2017. F. Wang, G. Luo (Eds.). Distributed and Parallel Databases (DAPD) journal, special issue on Data Management and Analytics for Healthcare, 2018. Gang developed twenty-six patents as a byproduct of his research.